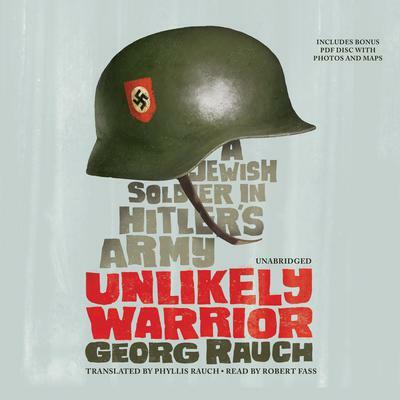 As a young adult in wartime Vienna, Georg Rauch helped his mother hide dozens of Jews from the Nazis behind false walls in their top-floor apartment and arrange for their safe transport out of the country. His family was among the few who worked underground to resist Nazi rule. Then came the day he was shipped out to fight on the Eastern front as part of the German infantry—in spite of his having confessed his own Jewish ancestry. Thus begins the incredible journey of a young man thrust unwillingly into an unjust war, who must use his smarts, skills, and bare-knuckled determination to stay alive in the trenches, avoid starvation and exposure during the brutal Russian winter, survive more than one Soviet labor camp, and travel hundreds of miles to find his way back home. Georg Rauch (1924–2006) was a professional artist who has exhibited extensively in Europe, the United States, and Mexico. For the last thirty years of his life, he and his wife, Phyllis, made their home overlooking Lake Chapala in the central highlands of Mexico.